A student once asked Robert Frost’s advice as to what course of study would provide the best education. The great poet responded, “It doesn’t make any difference. Take anything you want. You need to just hang around. Take whatever you want to take until the spirit touches you.” Frost’s answer is, in great measure, the best approach to joining this parish — just hang around! Get to know the feel of Sunday worship, the rhythm of parish life, the names of the people, and various opportunities for education and service. Participate in one of our many parish social events…they take a variety of forms (Round Table Suppers, Study Groups, Youth Events, Cocktail Parties). Try out a Bible Study, Men’s Event, or Service Opportunity. Ask God to do a fresh work in your life at this new juncture, and trust the Spirit to move you along on the path that you should go! Let our gracious and generous God touch you in unexpected ways. Christ came to set us free and to lead us into abundant living. Nothing would give us greater joy at St. Edmund’s than to help you indwell the abundance God intends for you, and to assist you in drinking yet more deeply from the well of life. Your own presence will enrich us immeasurably, and we would be delighted to have you worship with us. Each of us has been given gifts for the journey meant to be shared and enhanced by a cooperative and intentional community of fellow pilgrims. “Our purpose at St. Edmund’s is to receive and share God’s accepting Grace, challenging Wisdom, and transforming Love. Giving attention to the practice of our Faith, we strive to become honorable people making a useful difference in Christ’s Name.” So reads our parish mission statement. You are warmly invited to join in this project, as we together meditate on the mysteries of this bright world, the Words of sacred Scripture, the Tradition of the Church, the insights offered in science, literature, and millennia of human experience. We want to find God’s Way here. We want to make a useful difference. You can assist us toward this end. We hope the information on this website will help you find your way toward ministry in St. Edmund’s parish, as God prompts and inspires your journey. Please be generous with your inquiries, and do not hesitate to contact me directly for any matter in which I might offer pastoral support. The Vestry and other parish leadership will prove equally responsive to questions, aspirations, and interest expressed. Take whatever you want, and whatever seems useful. Then learn how you might respond to God’s many gifts to you in the prayers and service you offer in turn. As Robert Frost understood, there is a certain poetry at the core of all journeys, whether we are pilgrims on the road to education, or on the more subtle path of finding a spiritual home and a place of growth and belonging. The Spirit will tell you where you need to be. We hope it is here with us, at Saint Edmund’s parish church. May God richly bless your quest and discernment! 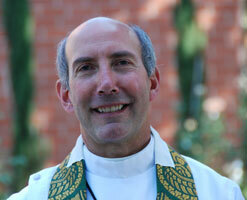 Want to meet our staff and clergy? Listen to our recent sermons. Browse our recent photos.